The Prague Magistrála lies within the historic walls of New Town. 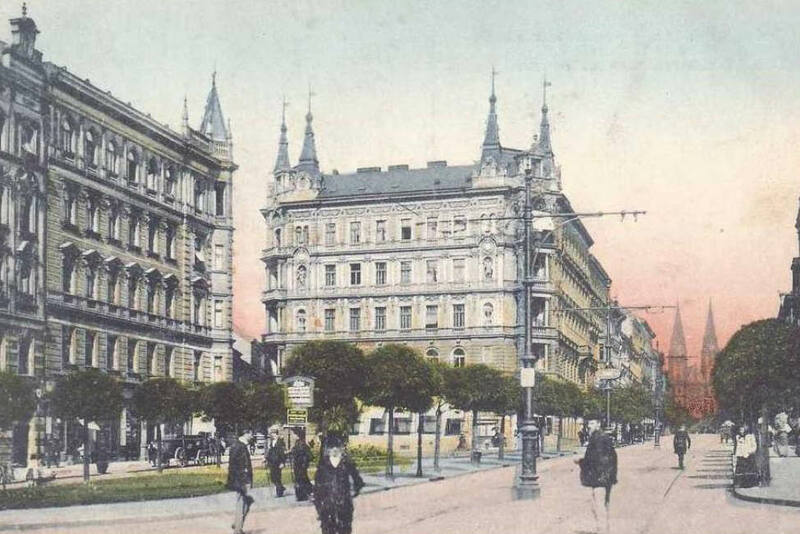 In the 1970s it was a street with a nice profile, which connected the main points between New Town and the surrounding areas of Vinohrad, Žižkovem, and Karlínem. After the construction of the Nuselský Bridge, the street was transformed into a highway that crosses the center of the city and divides it into two parts. The total length of the highway, from the South conjunction in Holešovic which is 6.9 km, has only 6 pedestrian crossings. The space is unfriendly and is subject to immense vehicular traffic. The fact that the I.P. Pavlova area passes more than 20,000 pedestrians a day, and includes both the historic and valuable parts of the city, has helped this area humanize for the past 20 years. 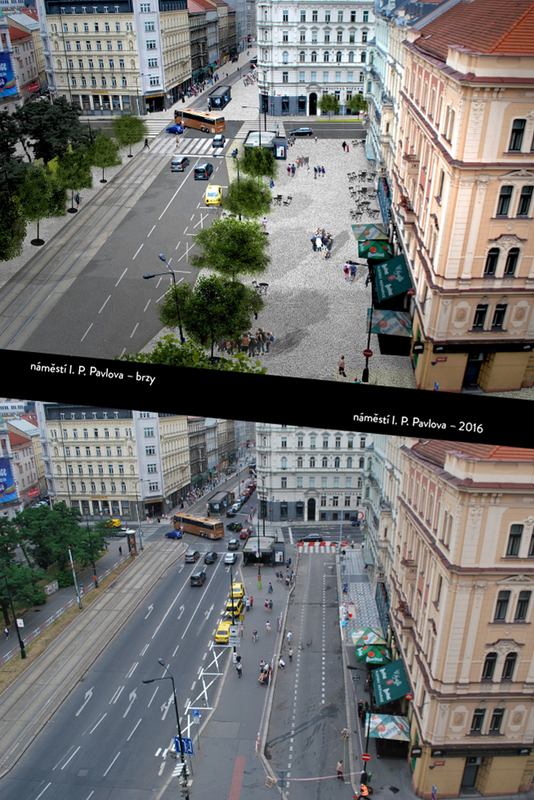 The Prague highway lies in the footsteps of the historical walls of the New Town of Prague. 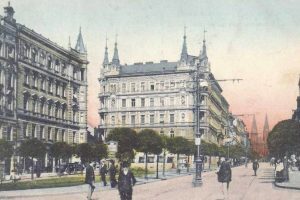 When the Prague walls began to ruin, in the beginning of the 1970s, a residential neighborhood with green boulevards began to grow from the National Museum. 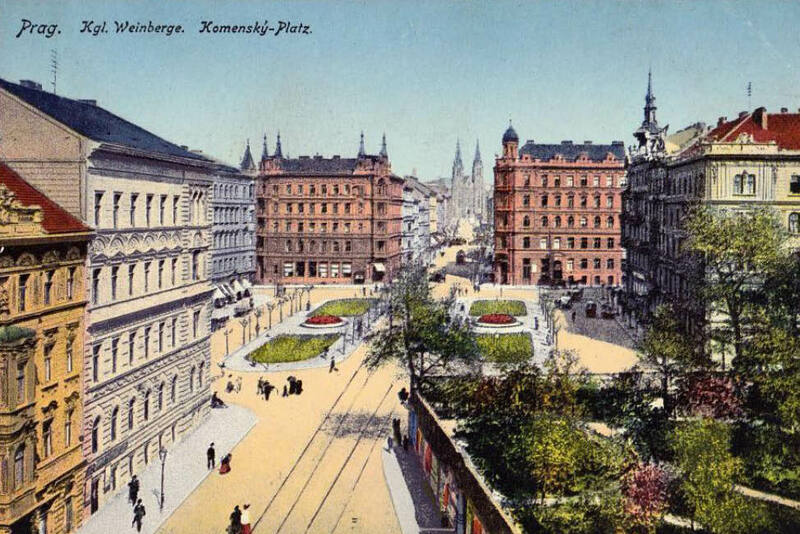 One of the first was the Comenius Square at the beginning of Vinohrady. 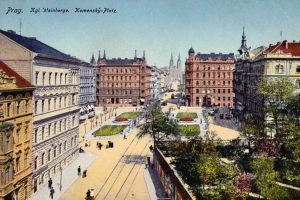 For nearly one hundred years, the Magistrála was a street with a pleasant profile that connected the main points between the New Town and the surrounding Vinohrady, Žižkov and Karlín. 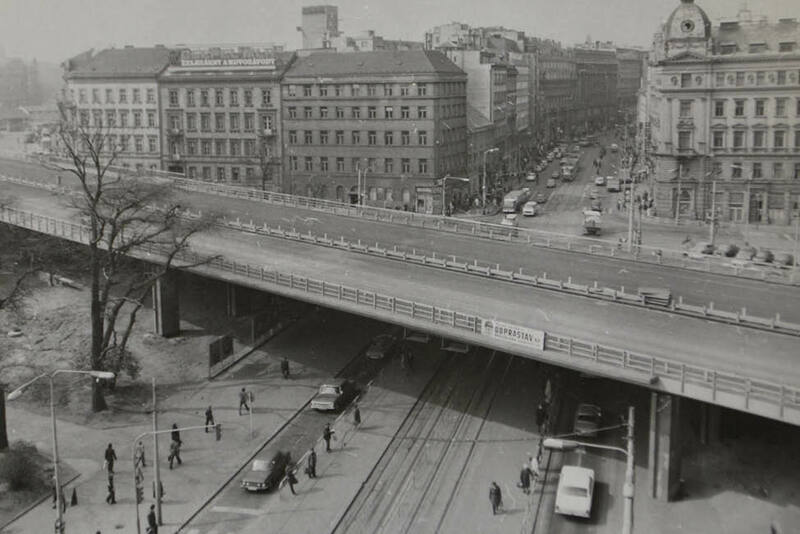 After the construction of the Nusel Bridge, this street was transformed into a motorway intersecting the center of the city and dividing it into two parts. 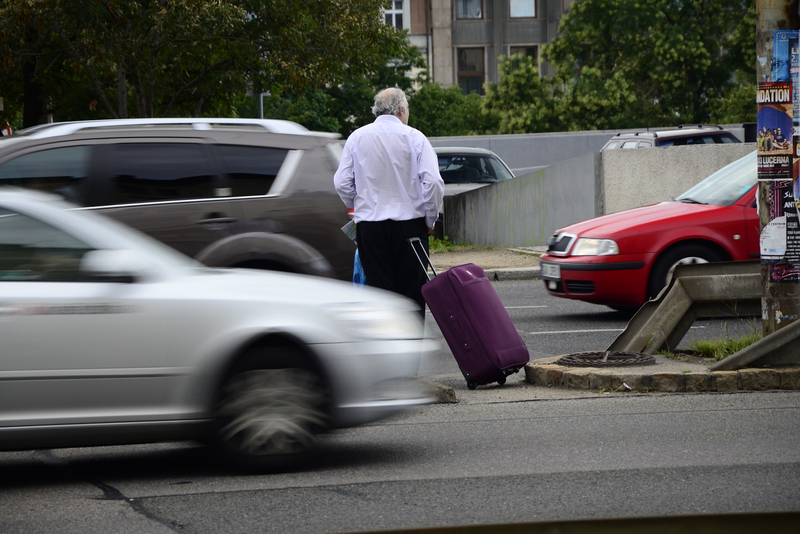 The total length of the motorway from the southern conjunction to Holešovice, which is 6.9 km, has only 6 pedestrian crossings. The twentieth century and the automobile turned the urban character of Wilson’s Square into a modern traffic artery of the seventies – the North-South Conjunction. 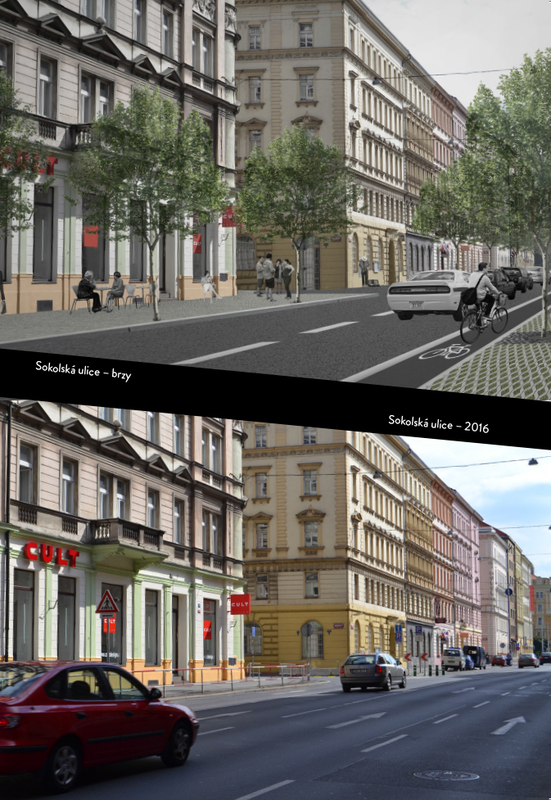 The area had to undergo many important changes: the main railway station was extensively reconstructed along with the railway station Praha-Těšnov and the Czech Children’s Hospital in Karlovy being demolished altogether. Crossing Florence, 1978, Source: Archive hl. m. Prahy, photo: Jana Pertáková. 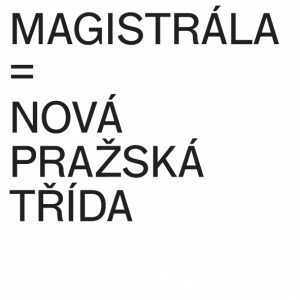 The Magistrála was created by the modern walls, cutting off the historical center from Karlín, Zizkov and Vinohrady. The space is unbearable due to immense car traffic. The area passes more than 20,000 pedestrians a day. 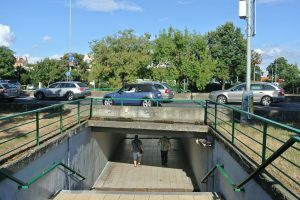 The fact that the Magistrála passes through the historical and important parts of the city has aided in polluting this space for the past 30 years. Photo: Workshop Under Open I. P. Pavlova Square, Artykel.cz, 2013.